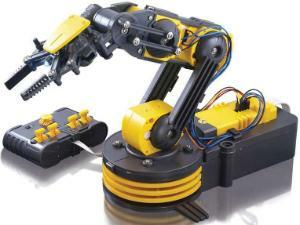 Comand the gripper of this robotic arm to move in three ranges of motion. The gripper can open and close, wrist motion of 120°, an extensive elbow range of 300°, base rotation of 270°, base motion of 180°, vertical reach of 15 inches, horizontal reach of 12.6 inches, and lifting capacity of 100g. Some of the added features include a search light design on the gripper and a safety gear audible indicator is included on all five gear boxes to prevent any potential injury or gear breakage during operation. Required but not included are four D batteries. 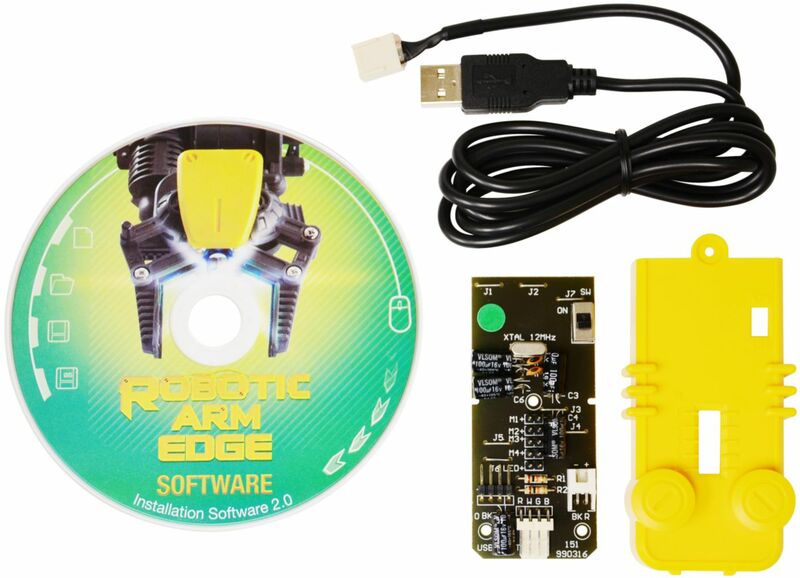 With the USB kit you can connect the Robotic Arm Edge 535 to a PC and have real time manual control of the robotic arm and program the arm to perform a sequence of movements - just like an actual robot on an assembly line. The USB Interface Kit comes complete with a CD; printed circuit board; USB cable and accessories; and a detailed instruction manual. The software requirements are Windows XP Service Pack 1;2;3/Vista and higher. The curriculum when combined with OWI KIT robots creates numerous and flexible educational opportunities for students. Answer keys provided. 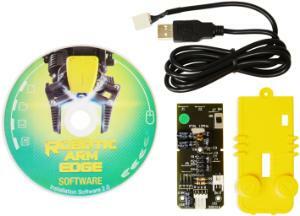 This is a flexible robotics curriculum for individual student use, home schools, science museums, and schools. CD is Mac and PC compatible.